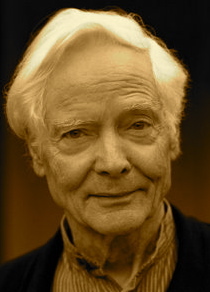 A Year of Being Here: W. S. Merwin: "To the New Year"
"To the New Year" by W. S. Merwin, from Present Company: Poems by W. S. Merwin. © Copper Canyon Press, 2007. Image credit: "Palo Verde and Mourning Dove," acrylic painting, by Peter Mathios (originally color).